It’s a sad day for serious businessman standing next to you typing away emails on his BlackBerry phone while you hurl up the building in an elevator. 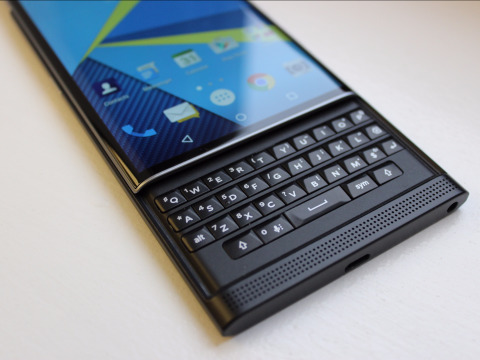 In Late September 2016, BlackBerry CEO John Chen announced that BlackBerry will no longer invest in developing its own hardware for mobile devices. Like Nokia, BlackBerry has failed to hold its own ground against giants like android and iOS. According to estimates, BlackBerry was able to sell close to only 400000 handsets while it needed to sell at least 3 million handsets every quarter to stay afloat. This year was full of horror movies, whether sequels or remakes all made you jump out from your seats. They were scary, terrifying, mysterious and intensely thrilling. So, as the year comes to an end, turn off your lights and enjoy the power packed horror films which you probably might have missed! Saturday! New Year Eve! Where to Party? 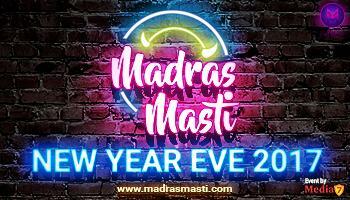 Two more days to go for the great New year party! All party lovers, here are interesting parties hosted across Chennai. Get your passes and enjoy the Saturday night party to welcome 2017. Where? Vaibhav Villa, Babbar Farms, Golden Beach Bay View Resort, Chennai How much? VIP couple pass : Rs. 4499 Couple pass: Rs. 3150 Stag: Rs. 2499 Ladies: Rs. 1349 Children: Rs. 499 Who is the Dj? DJ Kishy What is Special? All the categories will be provided with buffet dinner, unlimited liquor and unlimited bar snacks. Other facilities like games, dance performances, separate kids play zone, photo booth, and much more are also available. Where and whom to contact? Tickets available at: +91 75022 21333, +91 44 48521133 info@madrasmasti.com Added inclusive: Apart from all this, you will also be able to enjoy dance performance from a limited dance company Limited Edition, Thrill Veera - A Guinness world record holder and M.C - Angel Mark.